I’ve got several projects on the go at the moment, and I really should be getting on with finishing some of them. But the trouble with blogging is it can be easy to get distracted seeing what everyone else is up to! This flower corsage by Veldagia looked cool but easy and I thought I’d give it a go myself. 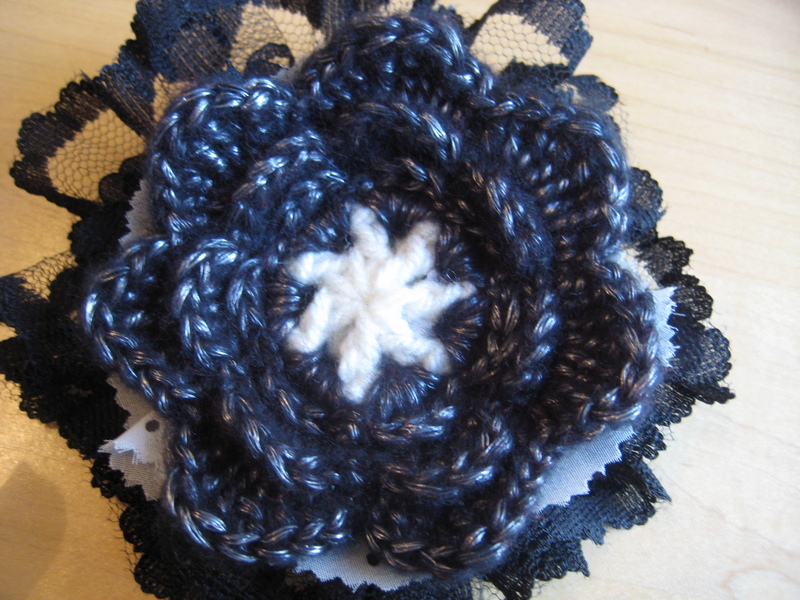 I used a black yarn with metallic fibres in it for the flower- it’s soft and looks a bit different, and I really like it. The flower is made using a pattern I have posted previously. 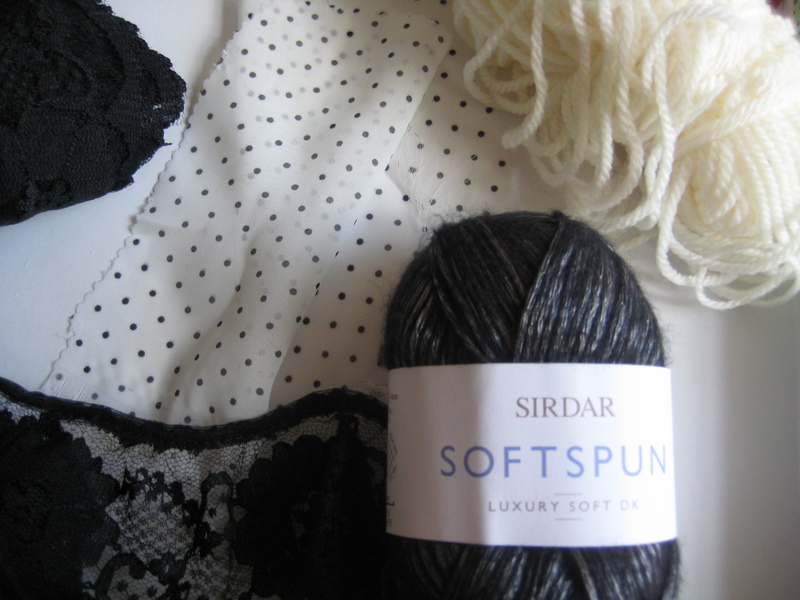 I had the dotty fabric and lace left over from some previous projects so I have used up some of my bits and pieces. 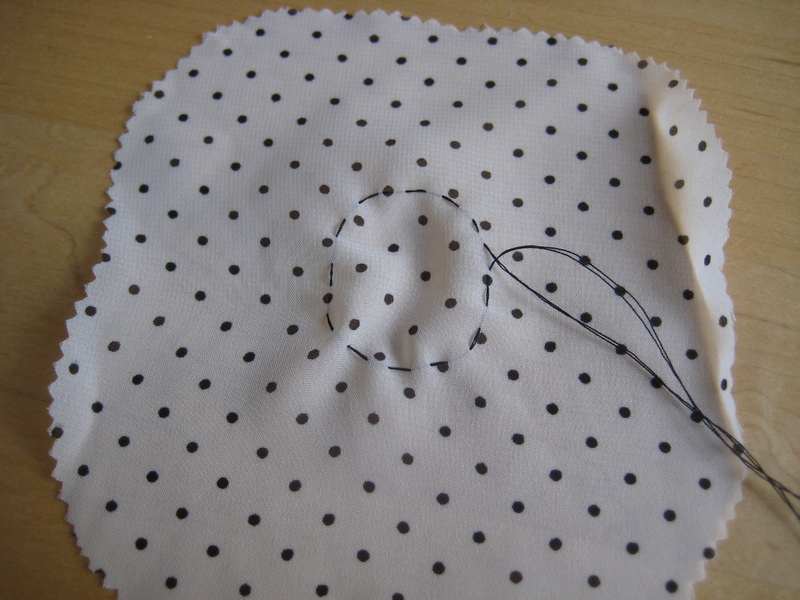 To make the corsage I cut the dotty fabric using pinking shears (it’s a mega-fraying fabric) and sewed a sort of circle and pulled the thread ends to gather. I sewed this to the back of my flower. My lace was in a strip so I folded this to make a ruffle and sewed it to the back as I went. 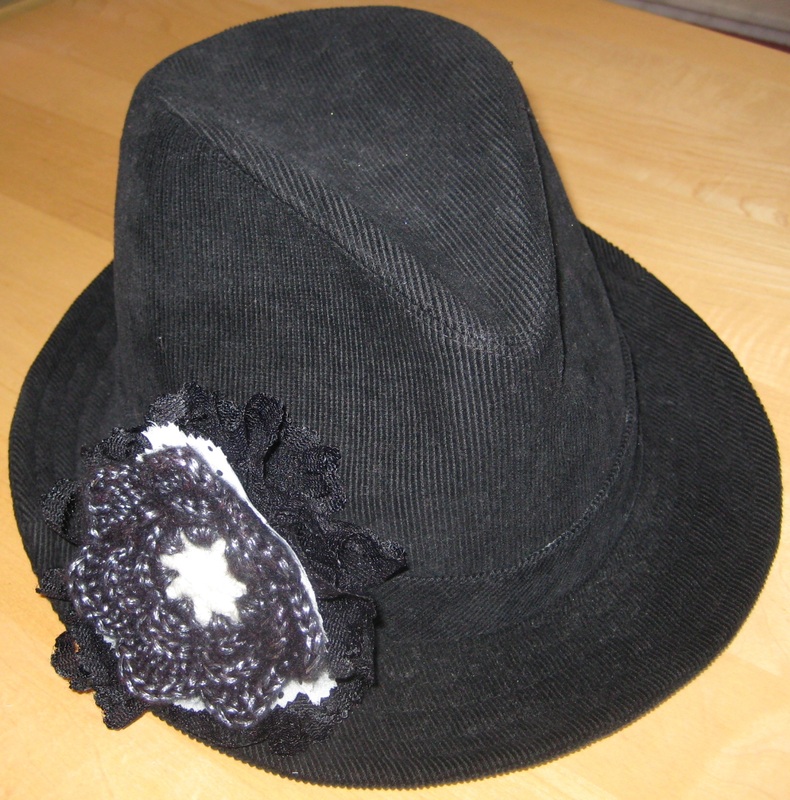 I was going to attach a safety pin to make it into a brooch but actually I think this hat (which I have been wearing for the last few years) could really do with an update so I have just sewn it on. This project may have been a distraction but it has definitely been a happy one! Really pretty :) I love your yarn and fabric combo they work so well together.